This charming 20-room hotel in a granite building dating from 1768 is open all the year round. It stands in the heart of the little town of Ploubazlanec, near the museum and the touching graveyard of the Iceland fishermen, 700 metres from the Launay beach. 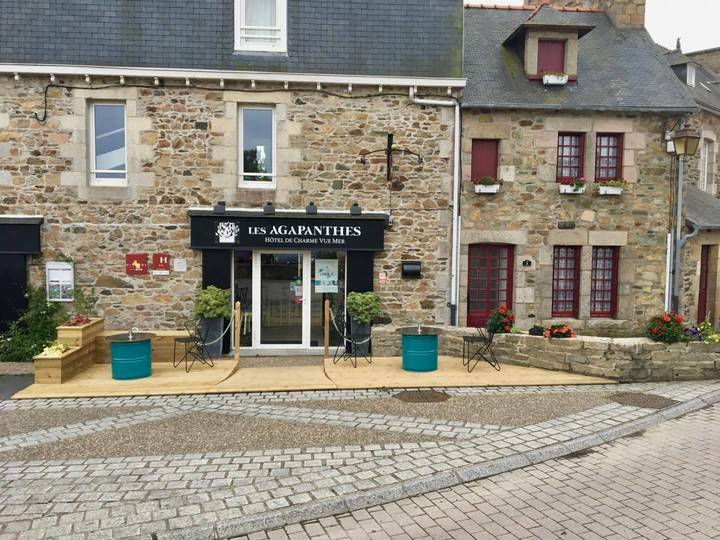 Before you go off to visit this magnificent region – the Isle of Bréhat, Loguivy de la Mer, Paimpol, the Pink Granite Coast – enjoy a gourmet breakfast in the conservatory or on the terrace, looking over the bay of Paimpol.